myHEALTHware Clinic User ManualsmyHEALTHware Clinic User Manual Getting Started with myHEALTHwareCan't Log In? 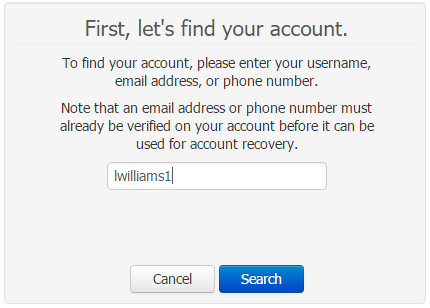 Q: How do I recover my username and/or password for my user account? If you are unable to log in to myHEALTHware due to a lost password or username, follow the steps below to recover your username and/or password. Click on Can't Log In? located under the Log In button. 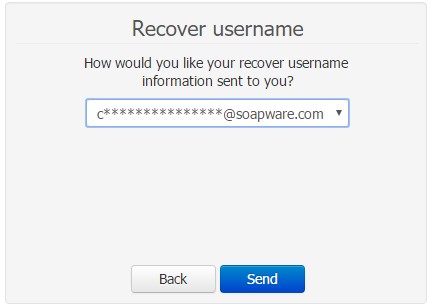 To reset your password, enter your myHEALTHware Username in the account recovery box. 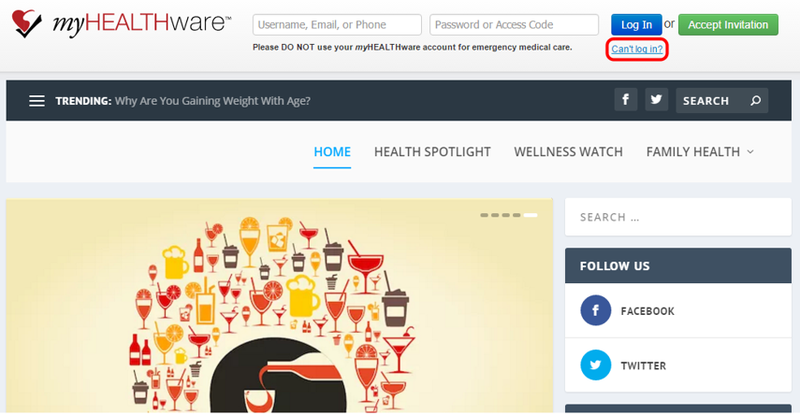 To reset your password, you must enter your myHEALTHware Username in this box. if you do not know your Username, follow the steps in Step 2 below to recover your Username. To see a password recovery email to the email address listed, click the Send button. 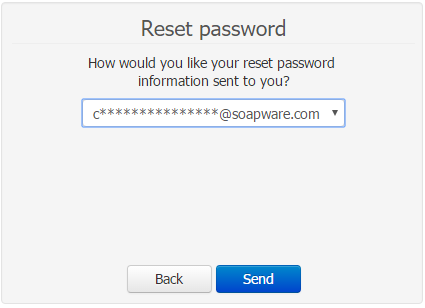 Once the Reset myHEALTHware Password email is received, click on the Log In button to set a new password. Enter the new password for your account, then click Reset. After resetting your password, you will be logged in to your myHEALTHware account. 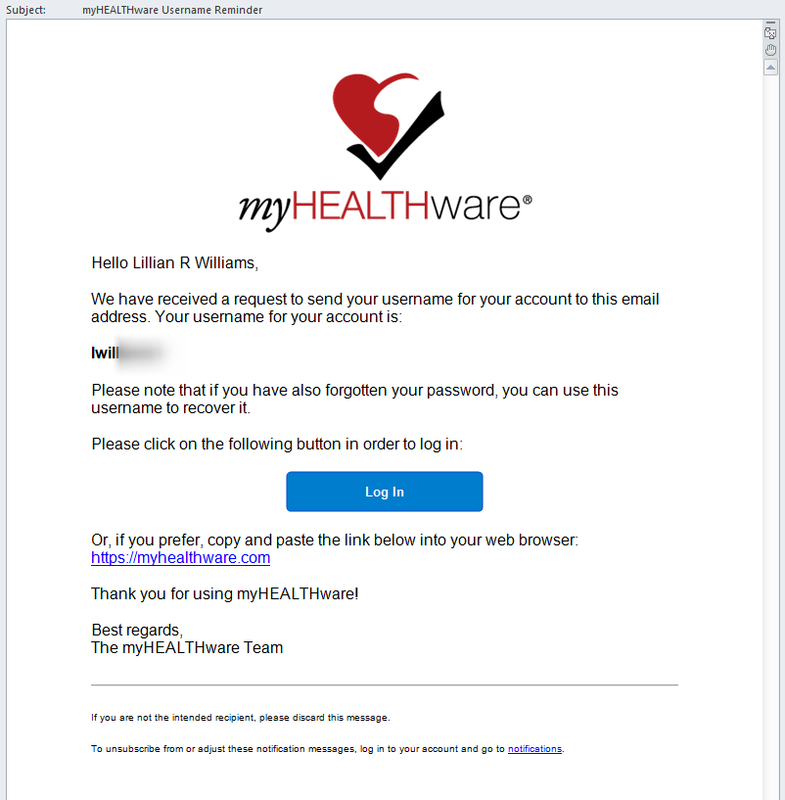 If you do not remember your myHEALTHware Username, click the Can't Log In button, then enter your email address or phone number, then click Search to find your account and Username. If there are multiple Usernames associated with the email address or phone number that you entered, you will be presented with a dialog to provider further identification. Enter your first and last name, then click Search. Click the Send button to send an email to the address listed. 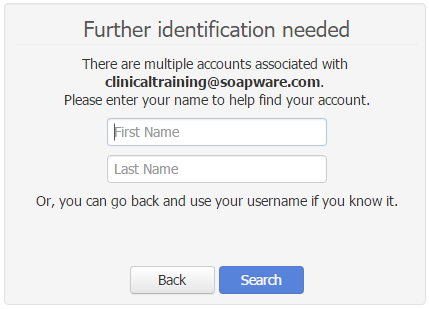 A myHEALTHware username reminder email will be sent to the email address registered on the account. 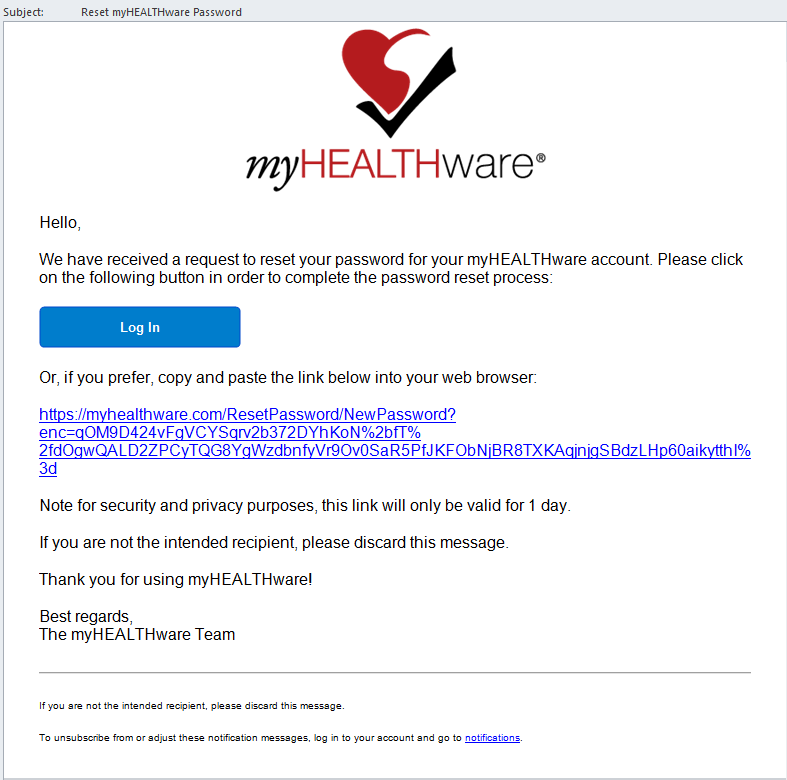 This email will contain your myHEALTHware Username. Use this Username to follow the steps in Step 1 above to recover your password if needed.